COMFORTABLE PLANTING AND HANGING: The liner and inner basket are easy to lift which makes planting a breeze. The large capacity ensures you have enough space to create the perfect flower arrangement every time. The sealed inner bowl and drainage plug allow for switching between indoor or outdoor use. 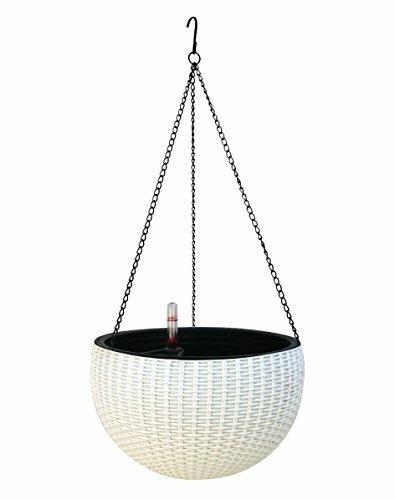 The planter includes a decorative, rust-resistant triple-chain hanger for easy hanging, offering up to 15kg loading capacity. Inside measurements. 9.25 across, 4.5 inches deep.